I pushed the time envelope with this one. 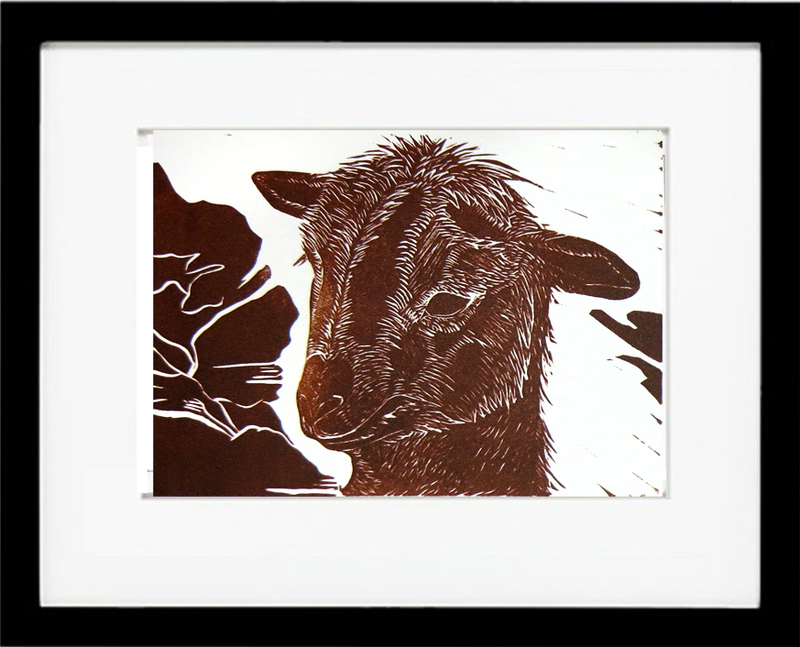 A Brown Adolescent Goat, print #23 of 30 in a 30 day print project. It is now available on Etsy in an edition of 10, each for $20. 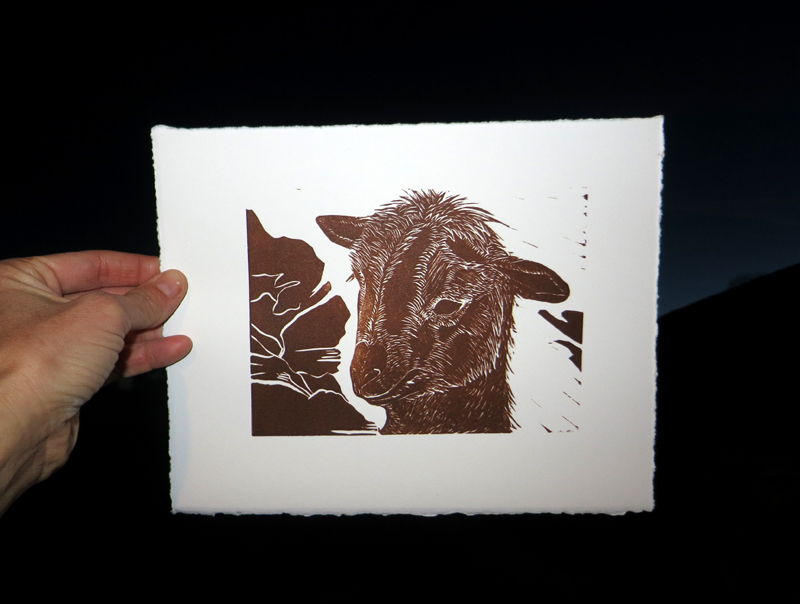 It is a sweet little print, the linoleum block is 6.5″ x 6″ printed onto 8″ x 10″ Rives BFK paper. 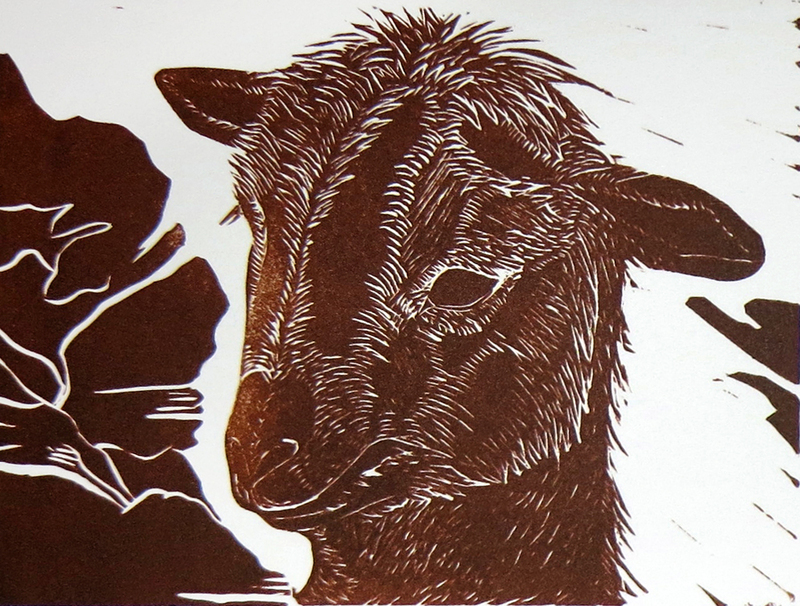 The edition is done and on the drying rack now. These along with the other 20 other prints are available at Stonetrigger Press Etsy Store. I will post an updated photo tomorrow.